A Rear Admiral in the U.S. Navy Reserve, Reyes has deployed multiple times to the Middle East in command of logistics and customs missions, to Haiti in support of disaster relief operations, and across the Pacific as the supply officer on a fast attack submarine. He currently serves as Commander, Navy Expeditionary Logistics Support Group, leading over 2,700 Sailors executing combat service support missions worldwide. 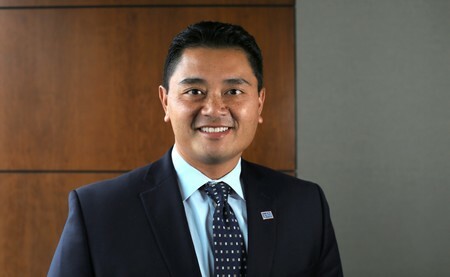 Reyes graduated from the United States Naval Academy in 1990 and from the University of Virginia’s Darden Graduate School of Business in 2000. He completed the Harvard Business School executive education program for strategic non-profit management in 2012.